April Z. Gu was named as a member of the 2017 Water Environment Federation (Alexandria, Va.) for her contributions to the organization and water sector. Photo courtesy of Gu. Gu’s contributions to water research and to the Water Environment Federation (WEF; Alexandria, Va.) earned her a spot among the 2017 WEF Fellows. The designation recognizes professional achievements and contributions by members to WEF’s practice areas. Gu has more than 17 years of experience as an engineer and researcher. She worked as a process engineer for more than 5 years before transitioning to an academic career. While working in engineering, she assisted with evaluating, modeling, designing, and planning for water resource recovery facilities. “I believe a good engineer is also a good scientist who has the ability to translate and apply fundamental knowledge into practice and provide solutions for challenges,” Gu said. Starting her academic career at Northeastern University (Boston), Gu worked her way up from a teaching assistant to a professor. She also spent some time working as a process engineer and research scientist for HDR Engineering (Omaha, Neb.). Currently, she is a professor of civil and environmental engineering at Cornell University (Ithaca, N.Y.) as well as a visiting professor in the Department of Engineering Science at University of Oxford (England). “I believe the next generation of professionals needs to have global vision and sound knowledge of various disciplines and backgrounds to become contributors to our profession,” Gu said. These professionals need to have a broad and long-term view of water that accounts for globalization in technology and economics. With depletion of resources, climate change, and deterioration of environmental health, those working in water need to be capable of collaborating with those in different countries and sectors with different backgrounds, she said. As a leading researcher in enhanced biological phosphorus removal, Gu’s practical experiences have helped her consider research problems while keeping in mind their relevance and potential applications, she said. She has earned a bachelor’s degree in environmental engineering and science from Tsinghua University (Beijing, China), a master’s degree in civil and environmental engineering from Northeastern University, and a doctorate in civil and environmental engineering from University of Washington (Seattle). Gu has been a member of WEF and the New England Water Environment Association since 2004. She has authored more than 120 conference papers and 65 journal articles, contributed to 20 other technical publications, and given more than 150 presentations at conferences and workshops. She serves on WEF’s Municipal Resource Recovery Design Committee. Previously, she has served on WEF’s Literature Review Committee, Program Committee, and the editorial board for the journal Water Environment Research. Gu also is a member of many other water and research organizations such as the International Water Association (London), American Society of Microbiology (Washington, D.C.), and Association of Environmental Engineering and Science Professors (Washington, D.C.). 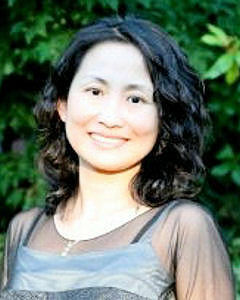 Many of the technical topics she has written about have been presented at WEFTEC and other WEF conferences.